Glenwood Gardens. Image courtesy of KPIX and CBS. Above Promotions Company. Tampa, FL 2013. On Sunday morning I watched the TODAY Show share a story that went national and outraged many. A story that disturbed the public and one that made me wonder, even as a publicist who studies and practices crisis communications techniques, is there a right way to discuss a company’s policy once it is facing the public? Can the brand survive the public’s feelings? Lorraine Bayless, an 87-year-old resident of Glenwood Gardens, an independent living facility in Bakersfield, California that is owned by Brookdale Living, died after a nurse refused to conduct CPR on the patient. Now we will never know if CPR would have saved Ms. Bayless, however, the outright refusal of a nurse during a 911 call does not settle well with the public. In spite the operator begging the nurse to help the 87-year-old woman by administering CPR, the nurse would not do so nor, allow anyone else in the facility to attempt the life saving technique. Here it is, someone who is thought to help maintain and preserve life, not doing what their job typically entails. This isn’t something you would expect a facility to say since they employ health professionals, however, after some reading online on other homes, this isn’t an anomaly and perhaps if you have family members in a home, you should learn their policy prior to them taking residence there. Nonetheless, the twist of the story is that Bayless’ daughter is a nurse and is satisfied with her mother’s treatment. However, the public is not and has taken to the internet to voice their thoughts on the topic. The public court is loud and fickle. Mistakes in personal or business judgment seem to roll off much easier than policies going against the preservation of life or happiness. Think about PG&E and Chromium VI (the case that made Erin Brockovich famous) and their practices that led to people getting sick. Or what about something as simple Yahoo’s announcement of no more employees working from home. The public has a way of wanting to help others decide how to run a business. So what does a business owner do when they’re faced with a potential loss of business over their own internal processes? In most cases you’ll find the business, like this one did, say they will carefully review what happened to find out if things were conducted properly. That’s in the basic pr toolbox. With the use of the internet, that excuse only holds for a short period of time. Businesses must be prepared to show why their policies benefit their customers or be prepared to change their services or practices. It will be interesting to see how Brookdale Living recovers from this death and news story. With facilities across the U.S. they will need to do some extensive crisis communication steps to recover with minimal loss to revenue. What do you think? How should Brookdale move forward? Please comment below with your thoughts. They may be used for future articles. Above Promotions is a full service publicity, marketing and promotions company, founded with the purpose to serve an array of clients that are looking to expand their presence in the marketplace. From a local to international market, Above Promotions Company can provide the exposure that goes above your expectations. Visit http://www.abovepromotions.com today. Ebony T. Grimsley is the Creative Director and Owner of Above Promotions Company. 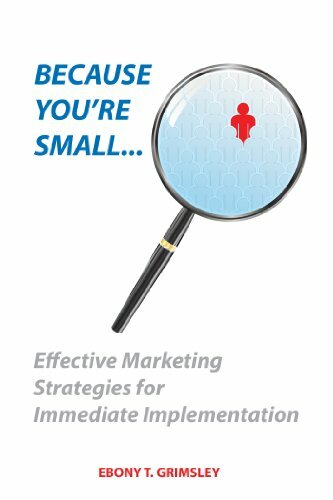 She is also the recent author of “Because You’re Small: Effective Marketing Strategies for Immediate Implementation.” To find out more information on the book, please visit http://www.abovepromotions.com or purchase online at Amazon, Booktango and other online bookstores. Schedule. Schedule. Schedule. The best social media tip by Above Promotions Company. Photo Courtesy of Pawel Kryj. Ok. Now that you have our number one tip, feel free to stop reading here. But if you’re curious as to what is implied by such a simple word like “schedule”, please read on. SCHEDULE. Nothing about your social media campaign should be whimsical or haphazard. 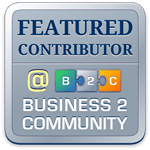 The content you share should correspond with topics relevant to your audience and coincide with existing initiatives the public should know about your business. So before you share the post stating, “Stop by to check out our latest deals” consider if you need to share the one pertaining to your upcoming in-store event instead. SCHEDULE. Building your social media posts onto a calendar or database by date, will help you to not only keep from sounding redundant, but will allow you to draft your posts and proofread them before they go public. Knowing what you will write before plopping down in front of the “send” or “post” button will help prevent most top embarrassing mistakes. Organizing your marketing tasks is the best way to save time, minimize common errors, appear professional and attractive to your potential customers. Trust us. When the quality of your posts and the correct timing is activated, engagement will go up. We want to hear from you. 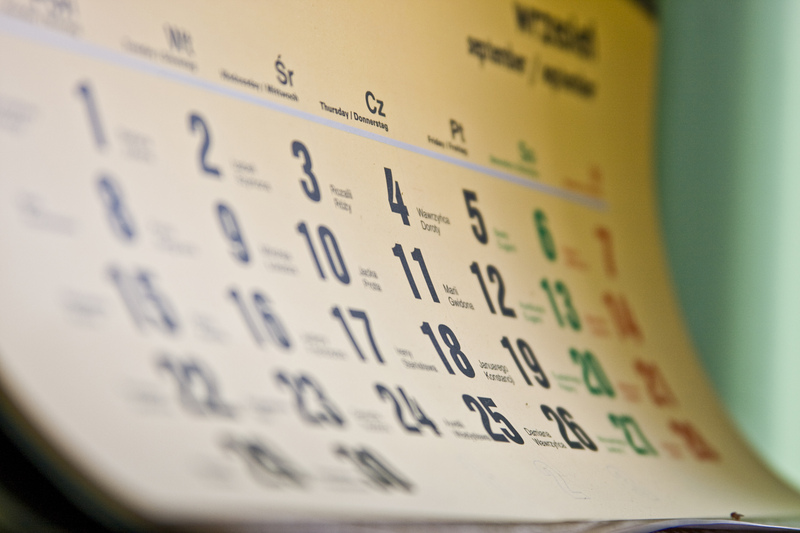 Do you SCHEDULE your social media tasks already? If so, which tools do you use?